Just completed a selection of antique reading lamps with adjustable heights and shade positions , ideal for behind a chair of beside a sofa . 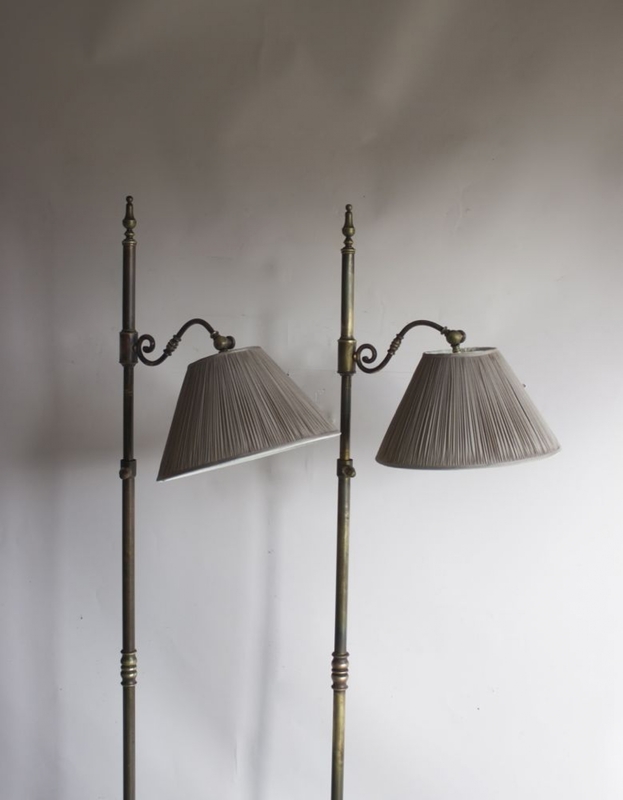 These French 1950/60s floor all have style, elegance and generally a small footprint which makes them useful for beside low furniture . 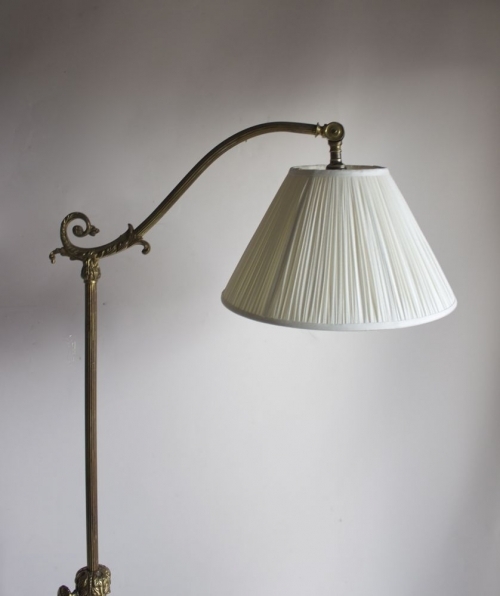 The all raise to about 175/180 cms and drop to about 130 cms and base widths vary 20cms - 35 cms . 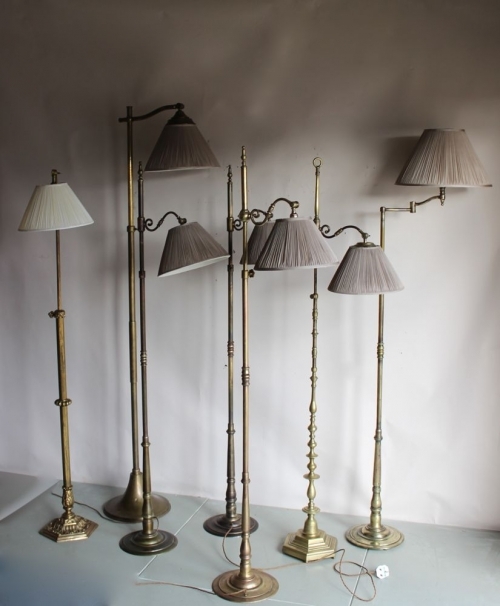 This selection are all brass with good patinas established over the years . 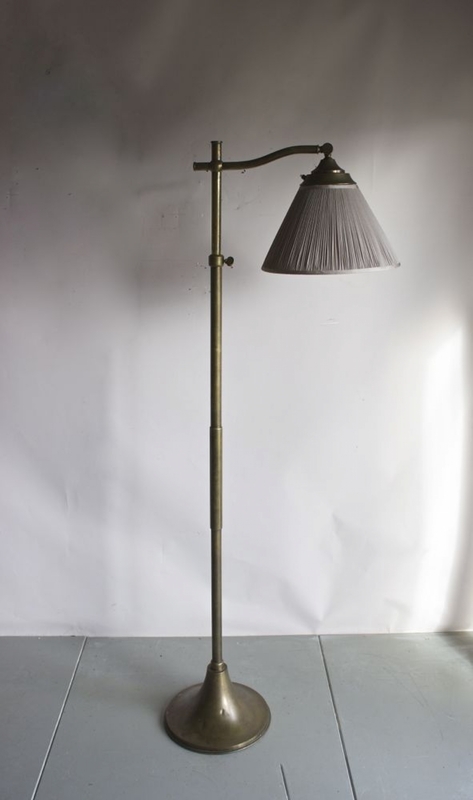 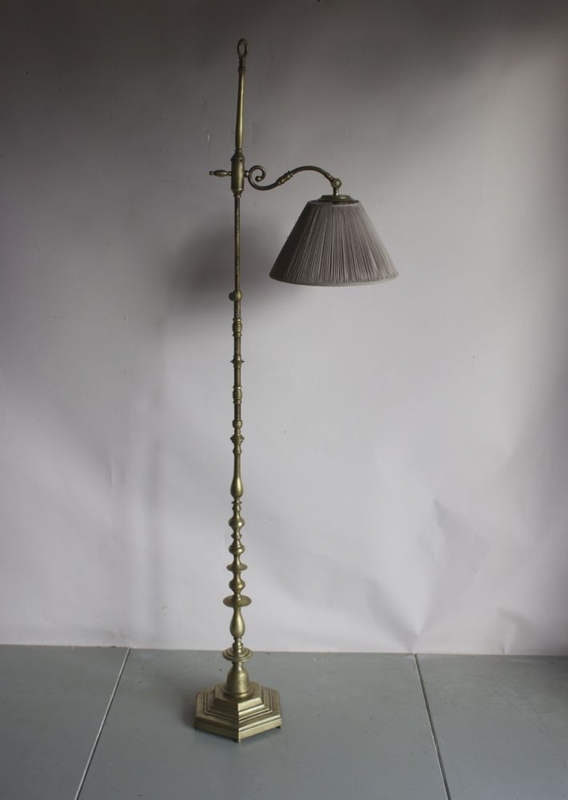 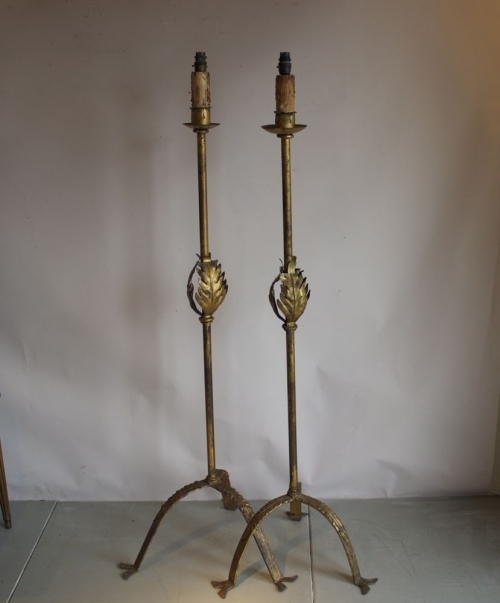 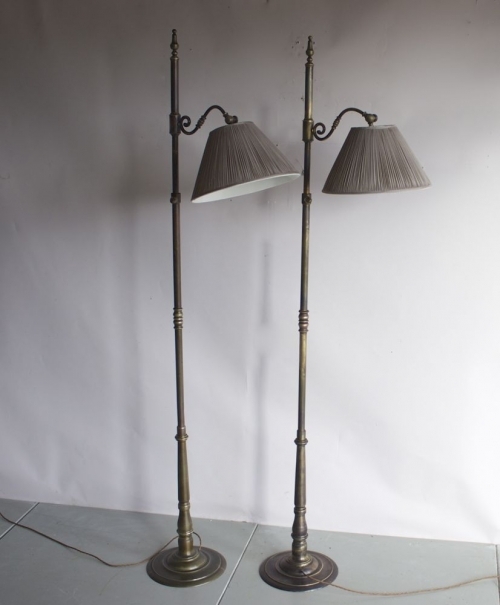 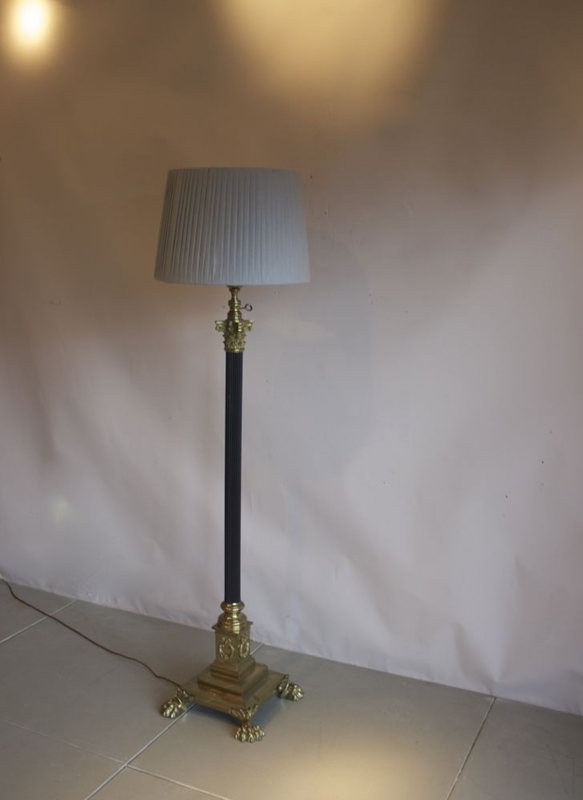 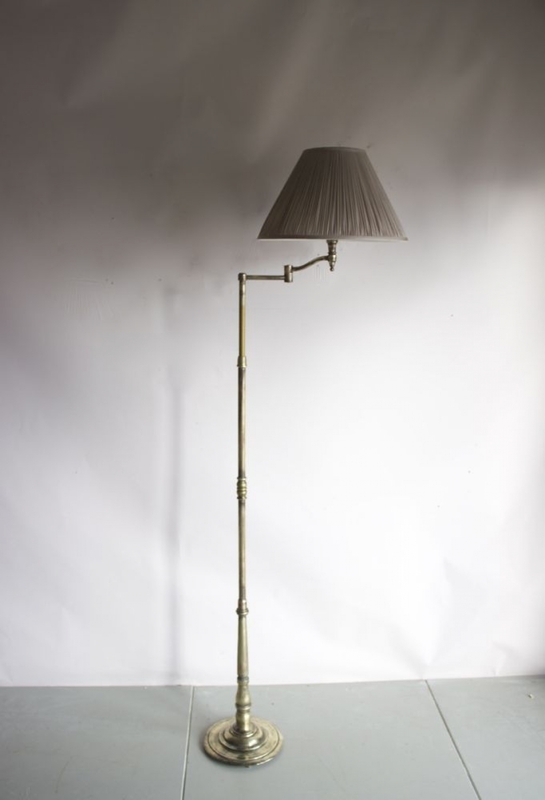 We also sell silver plated , nickel and wooden floor lamps ,. 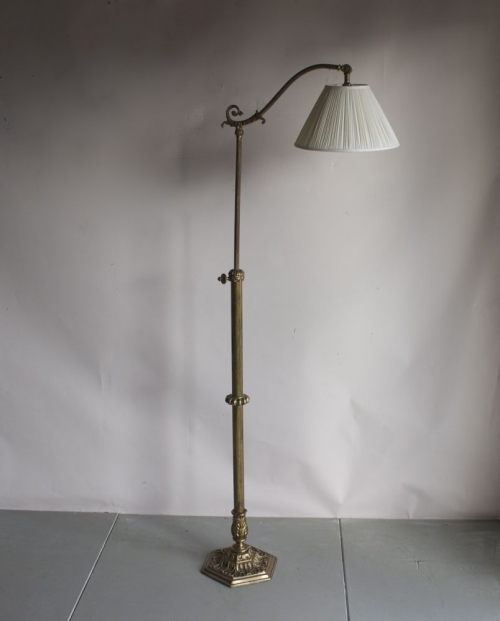 This is a big part of our antique lighting business.